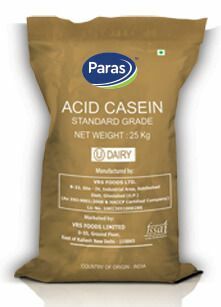 PARAS whole milk powder is a homogeneous, free flowing powder manufactured from pasteurized fresh whole milk and spray dried to provide an excellent source of all natural dairy protein and butter fat. It is off white in colour with a clean milky flavor. Low or medium heat grades can be provided as per requirement. 25 kg Multi-wall Kraft paper bags with inner polyethylene liner. Up to 1 kg nitrogen flushed sachets can also be provided in box packing. Container loads are transported with inner plastic liner for protection, without pallets. The Usual capacity of a 20 feet container is 12.5MT and 40 feet container is 25MT. It can perform a wide range of key functions in prepared foods, including emulsification, thickening, gelling and foaming. Typical usage is in baby foods, dairy products, dry blends, wet blends, prepared dry mixes, confectionery and bakery products, ice creams, chocolates and animal feed.